Things to do in Alona Beach | AlonaBeachGuide.com - your guide to amazing Alona Beach on Panglao Island, Bohol, Philippines! 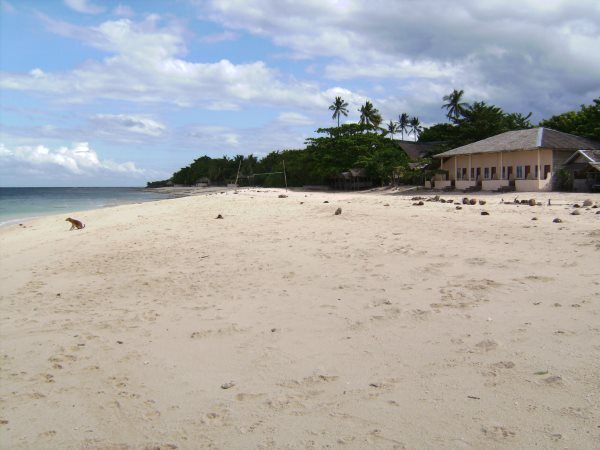 Alona Beach and the surrounding area of Panglao is full of things to do and see. In Alona, everything revolves around the beach and the ocean. Popular activities are diving, snorkeling, island hopping or just relaxing at a beach-side restaurant with a cold drink. 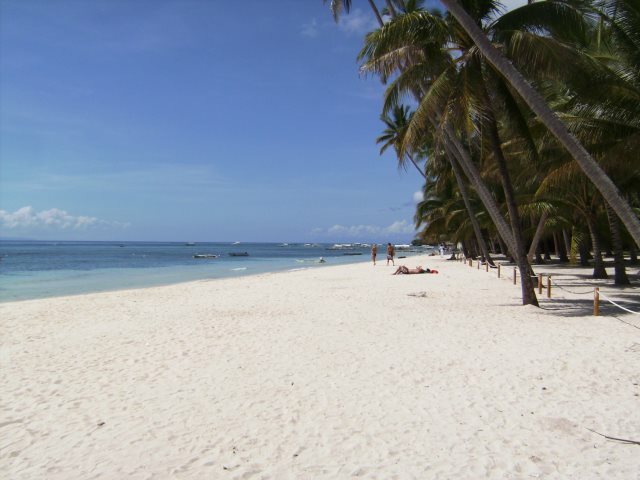 Alona Beach is a stunning 1.5 km stretch of white sand beach. Walking the beach, sunbathing, swimming and relaxing are very popular activities here! Be sure to stop at one of the many beach-side restaurants for a cold drink and enjoy the beautiful surroundings. For more images of Alona Beach, make sure to check out the Alona Beach Photo Gallery. Alona Beach is known as a world-class dive destination. In fact, the first thing you will notice about the place is all the dive boats! There are dozens of them always docked in the water, waiting to take divers/snorkelers out for some underwater adventure! About 100 meters out is the house reef which is a great place to see the marine life. 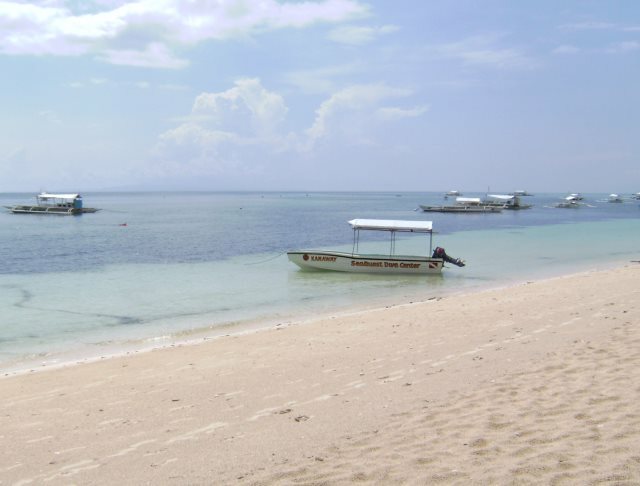 Be sure to also check out Balicasag and Pamilacan islands for amazing diving and snorkeling. You will need to hire a dive boat, but there are plenty around. 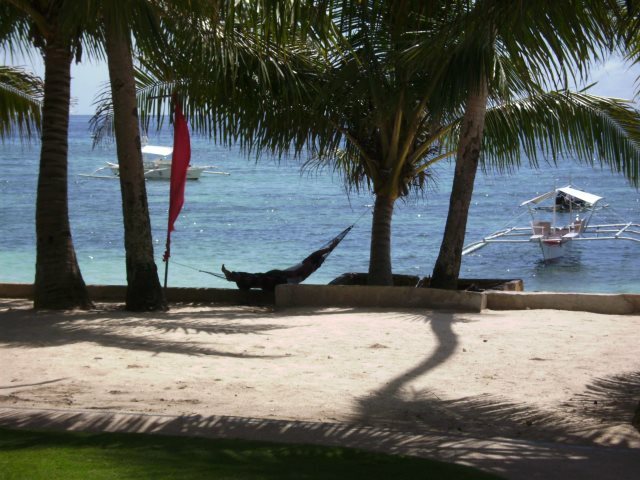 Alona Beach is a great place to just sit back and relax. Sitting on the beach, drinking a cold beer, watching the sun go down... Be sure to to get a massage while you are here. They are cheap and you can have them right on the beach! There are a variety of great restaurants right on the beach. Pizza, Swiss, Italian, Thai or native dishes are all available at reasonable prices. Alona Beach is not known for it's crazy nightlife. In general it is a quiet, romantic place at night. Restaurants set up candle-lit tables on the beach and couples and groups gather to eat good food and listen to live acoustic music right on the beach. 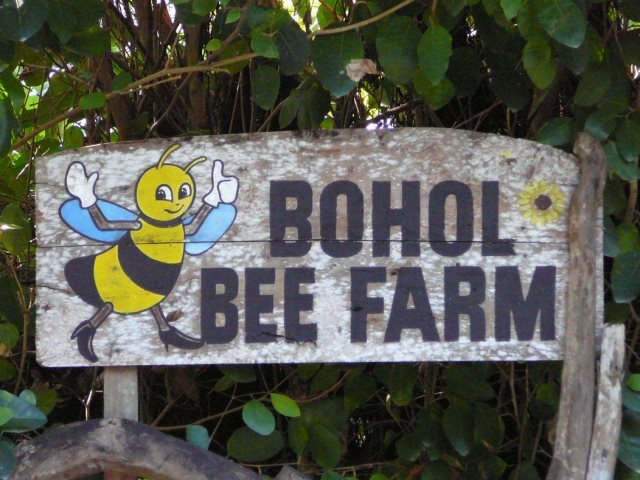 Bohol Bee Farm - an amazing place that combines accommodation with gorgeous organic and interesting food, local handicrafts and bees. Set up on a cliff top with steps down to the sea. For more info, check out the Bohol Bee Farm website. 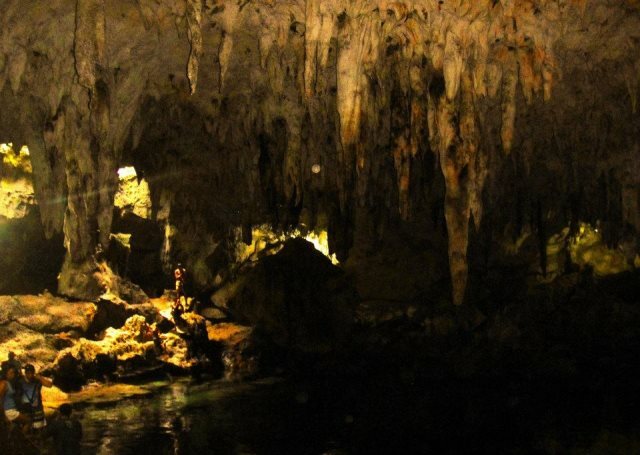 A cave on Panglao Island - naturally lighted cavern with a deep lagoon and many large stalactites and stalagmites. The cave is lit by sunlight which filters through holes in the ceiling. The underground lake is a popular swimming spot, but it has been known to test for high levels of various pollutants, since it is fed by ground runoff. For more info, check out the Hinagdanan Cave Wikipedia page. 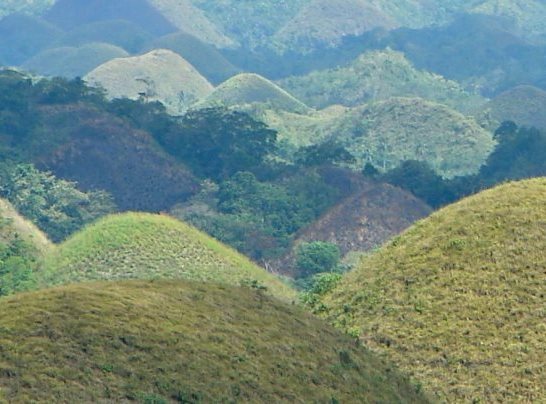 The Chocolate Hills are the most famous tourist attraction in Bohol, and one of the most famous in the Philippines. They are an amazing group of mound-shaped hills that turn brown during the dry season, hence the "chocolate". This is really a must-see while in the Philippines! 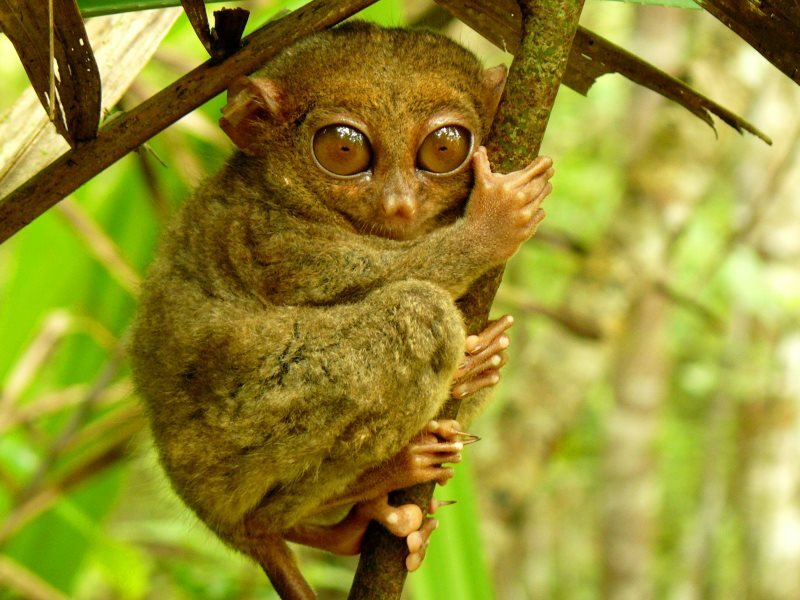 The Tarsier is the smallest primate in the world at only 8-16 cm tall! The Tarsier Sanctuary serves as a protected habitat for these amazing creatures. 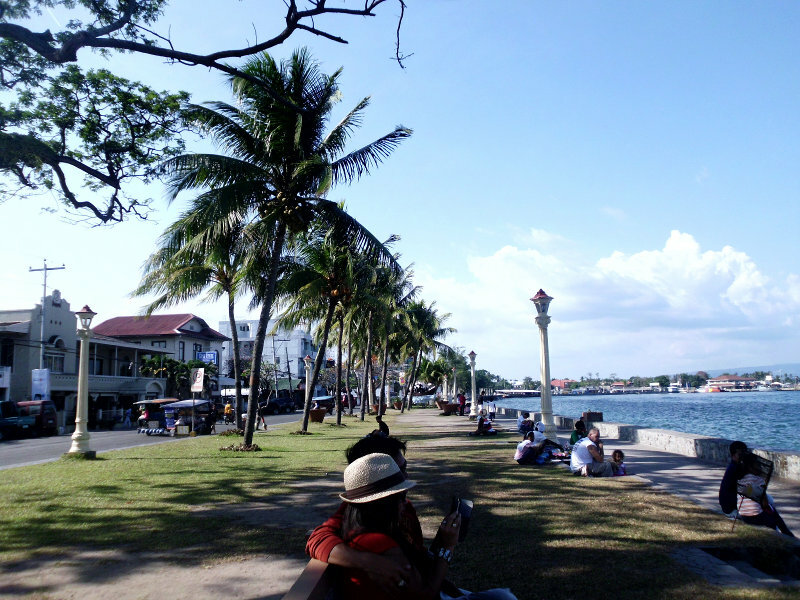 Dumaguete is only a short two hour boat ride away, so it's very easy to get to from Bohol. It's a great base for exploring the famous spots in Negros Oriental such as Apo Island and the Mabinay Caves. If you want to check out the laid-back, magical island of Siquijor, you'll need to pass through Dumaguete! Known primarily as a scuba diving destination, Moalboal is a great place to visit on the island of Cebu. Around 4 hours away by boat/bus. Are you ready to find a hotel or resort in Alona Beach? 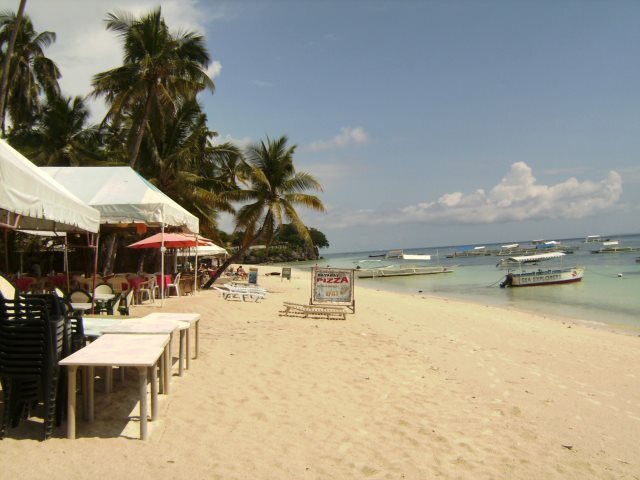 We have many hotels and resorts listed in the Alona Beach area as well as elsewhere on Panglao, Bohol.